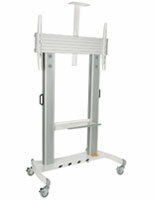 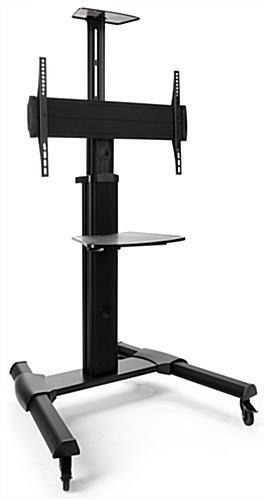 This widescreen monitor stand on wheels is the perfect portable TV mount for 37”-70” flat screens. 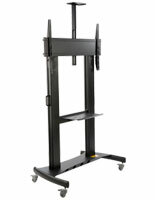 Four locking casters can set the unit in place when need be, but also allow for rolling the unit from one area to the next. 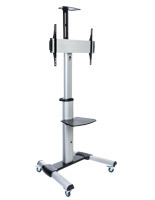 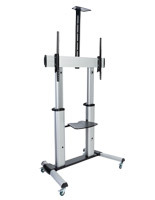 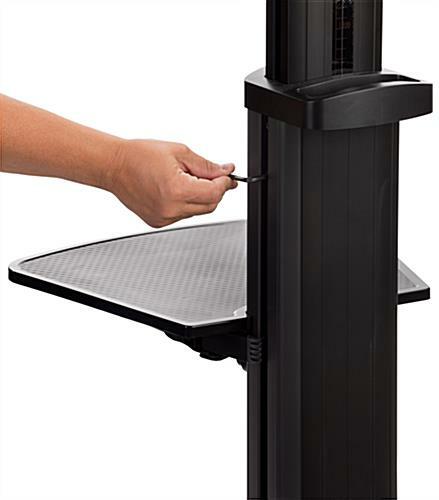 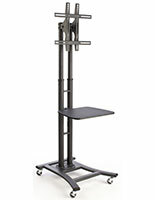 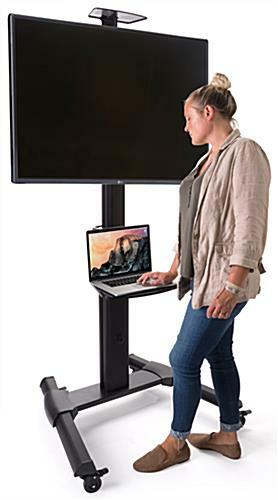 The monitor stand on wheels features adjustable height via allen key and an accessory shelf for storing a laptop or other presentation materials. 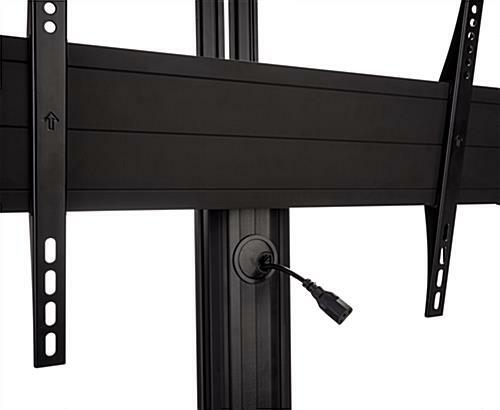 Internal cable management keeps all unsightly cords and cables from view. 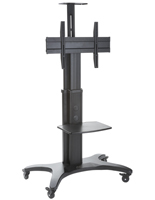 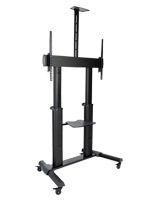 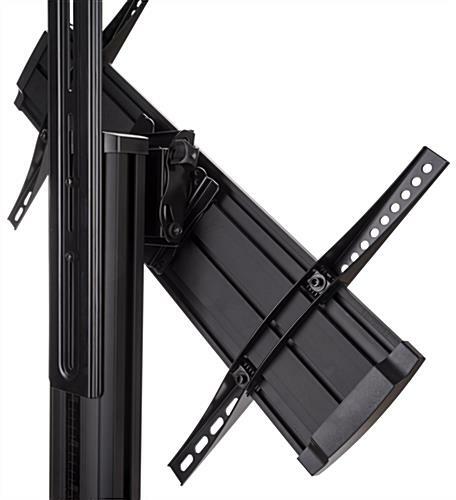 Adjustable height via Allen key allows you to position your 37”-70” TV at the desired viewing angle. 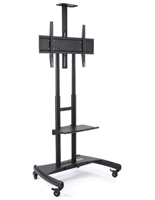 This monitor stand on wheels complete with a shelf is great for mounting a flat screen and rolling it from one room to the next!